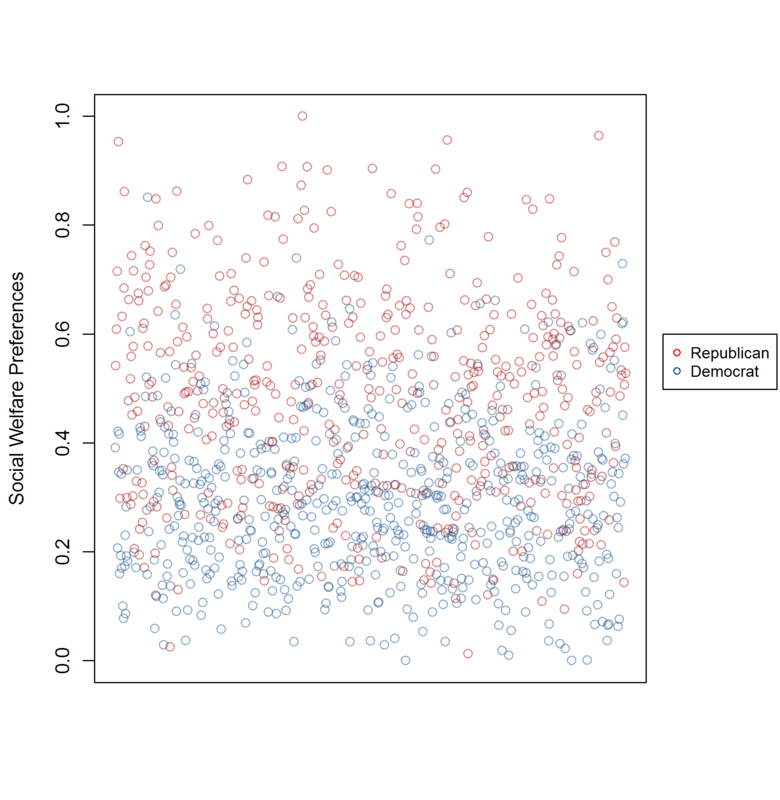 By now students of American Politics have all become accustomed to seeing graphs of DW-NOMINATE scores showing ideological polarization in Congress. Here are the equivalent graphs (we assume two dimensions) at the mass-level. Data are from the 2004 ANES. 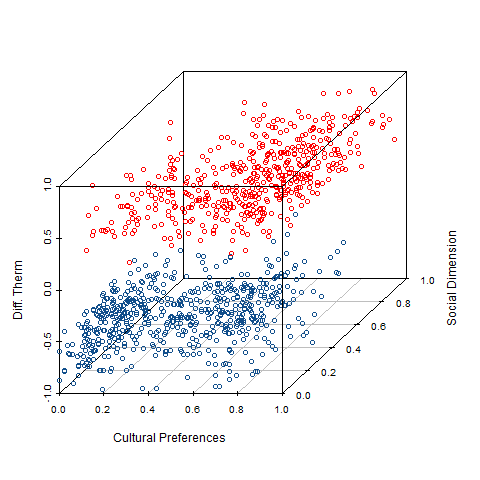 Social and Cultural Preferences are from Confirmatory Factor Analysis over relevant items. 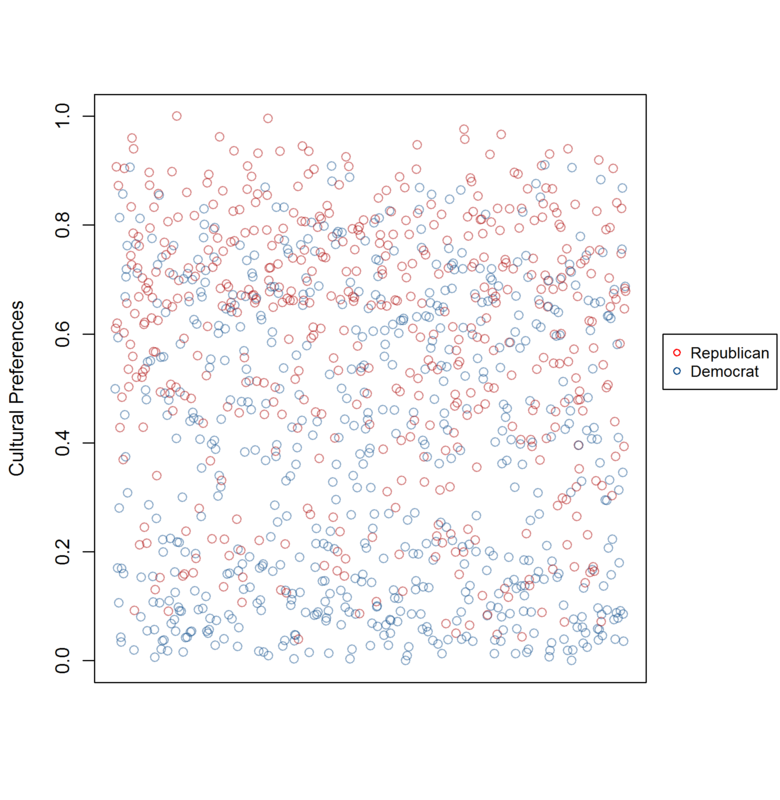 1) There is a large overlap in preference profiles of Rs and Ds. 2) Conditional on same preferences, there is a large gap in thermometer ratings. 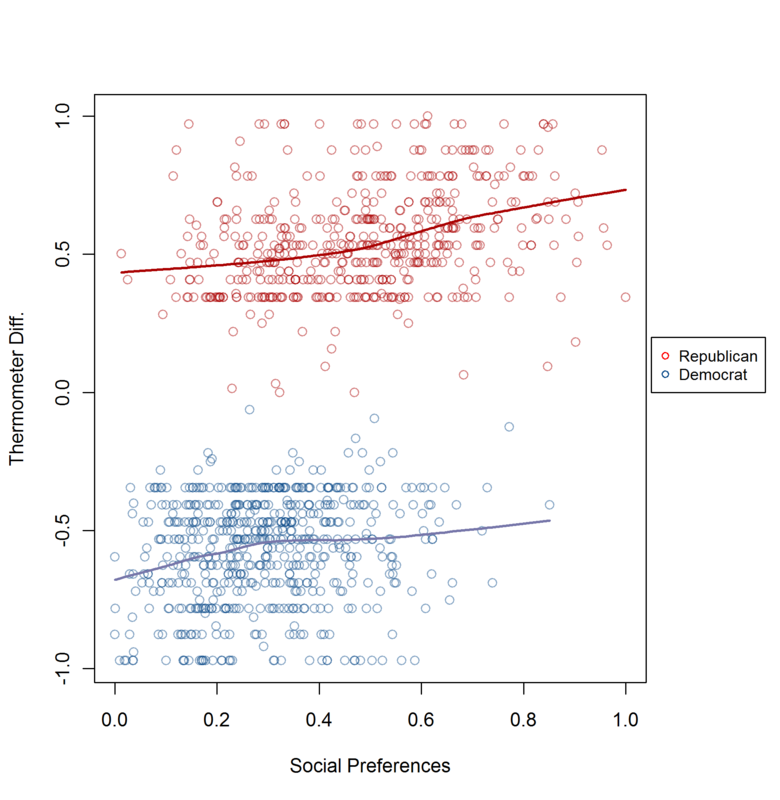 Without partisan bias – same-preferences should yield about the same R-D thermometer ratings. 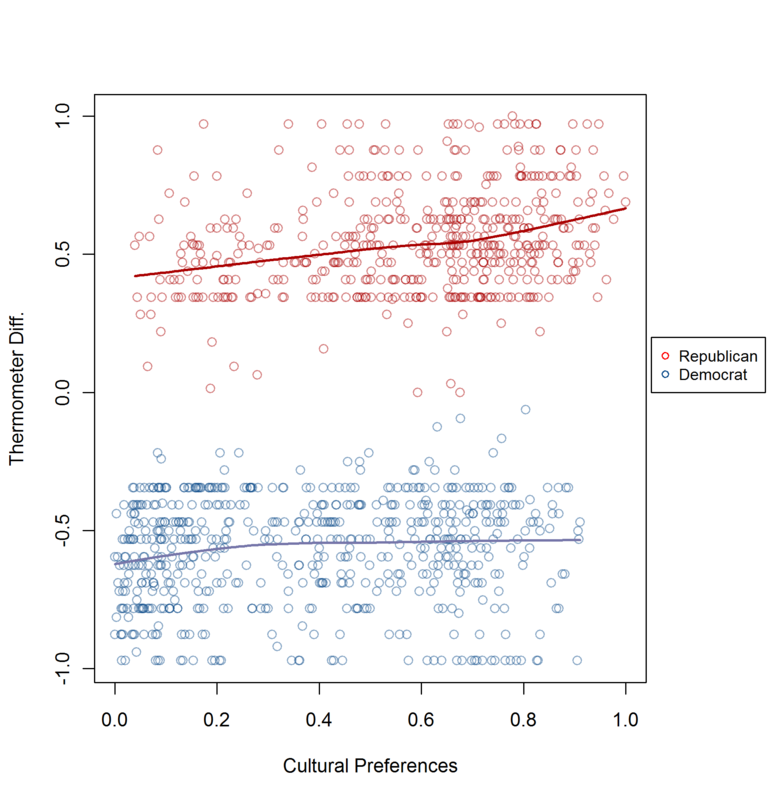 And this gap is not particularly responsive to change in preferences within parties.